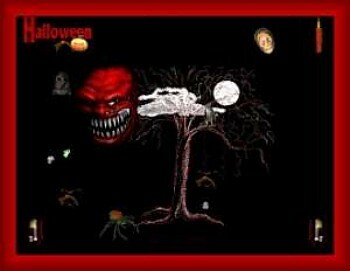 Animated screensaver with an evil feel.Happy magic spell casting Halloween! Animations copyright, ART-TLC © , along with others from Web Clip Empire(copyright) included. Wolves howling in the background. Screensaver copyright, ART-TLC ©.